High Quality Content by WIKIPEDIA articles! High Quality Content by WIKIPEDIA articles! Deerfield Township is one of the fourteen townships of Morgan County, Ohio, United States. The 2000 census found 802 people in the township. 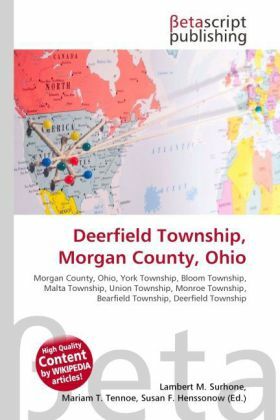 Statewide, other Deerfield Townships are located in Portage, Ross, and Warren Counties. The township is governed by a three-member board of trustees, who are elected in November of odd-numbered years to a four-year term beginning on the following January 1.